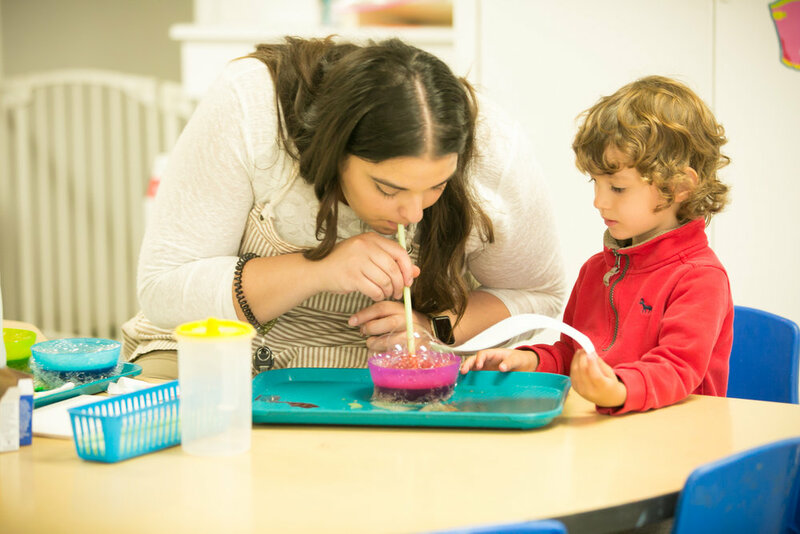 At BPC Preschool, we believe a Developmental approach allows children to build a solid foundation and become lifelong learners. What is “Developmental”? At BPCP, our developmental approach recognizes that children learn best through play and direct experience – and they learn best at a pace that matches their individual development stages. Children are curious by nature and everything a young child is exposed to becomes a part of their education. For this reason, we provide a fun, safe, loving environment or children to learn, play, explore, and socialize. We offer many enriching, hand-on experiences through age-appropriate activities such as dance, music, literature, art, cooking, science, song, and field trips. We promote a healthy balance of child-directed and teacher-guided learning. Moreover, at BPCP we believe in the critical importance of strengthening children’s Emotional IQ. That means we focus on helping children express their emotions in age-appropriate ways. It means we handle “tricky situations” between children in thoughtful, emotionally sensitive ways. And, it means we take the time, we take the time to connect and coach children at this precious time in their lives. Brentwood Presbyterian Preschool remains committed to quality on all levels. For this reason, we are proud to be one of the few NAC certified preschools in our area. Go to http://www.earlylearningleaders.org/ for more information.